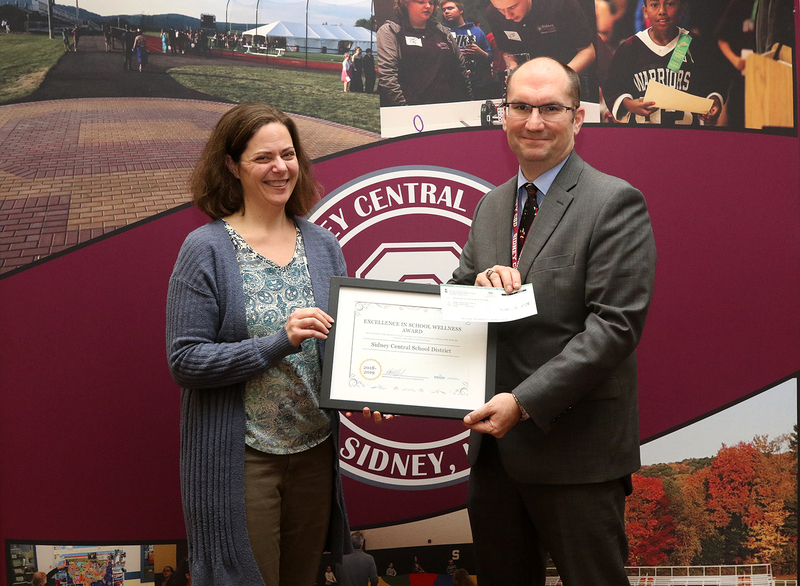 The Sidney Central School District received a growth award of $1,500 to further advance the district’s wellness programming and implementation. Excellence in School Wellness Awards are from the Rural Health Education Network for Schoharie, Otsego, and Montgomery Counties (RHENSOM). The grants are funded by the New York State Office of Rural Health, and are a program of the Bassett Healthcare Network. 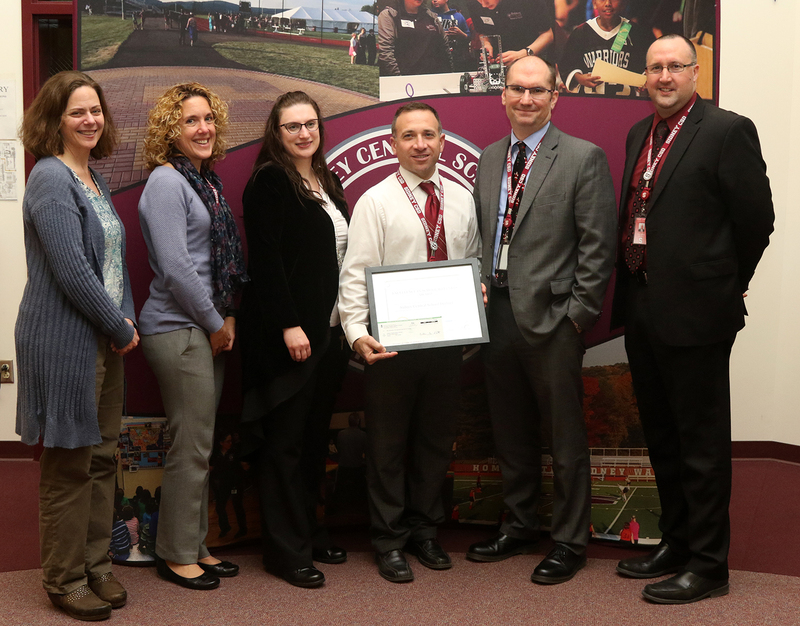 This award recognizes the growth the Sidney CSD is pursuing and demonstrating in school wellness initiatives with the anticipation that these initiatives will have a lasting impact on the entire school community. After receiving the Kristin Pullyblank (of RHENSOM), Kerrie Johnston (SCSD Assistant Superintendent of Curriculum and Instruction and Special Programs), Sarah Miller (Director of Curriculum/Instructional Technology), Tony Stenta (Director of Curriculum/School Improvement), Dr. Bill Christensen (Sidney Superintendent), and Eben Bullock (Jr-Sr High School Principal).